The confectionery factory «KONSTANTINOS» was created in 1995 in a small craft place located at Asvestoxori of Thessaloniki. The experience and expetise of the strains of our bussiness in combination with the love for the product led to a quick development and as a result in 2005 the facroty was transferred in the new and contemporary facilities in a suburb of Thessaloniki. By applying the HACCP system using the ISO 22000: 205 standard, the factory brews a lot of different of chocolate products such as treats, chocolate pieces, luxury pralines, chocolates in a wide variety and caskets. Our bussiness, using the suitable and high-quality materials and high technology produces its chocolates (black, milk, white), pralines ( hazelnut, almond) and a variety of cremes ( strawberry, tiramisu, vanilla, etc). 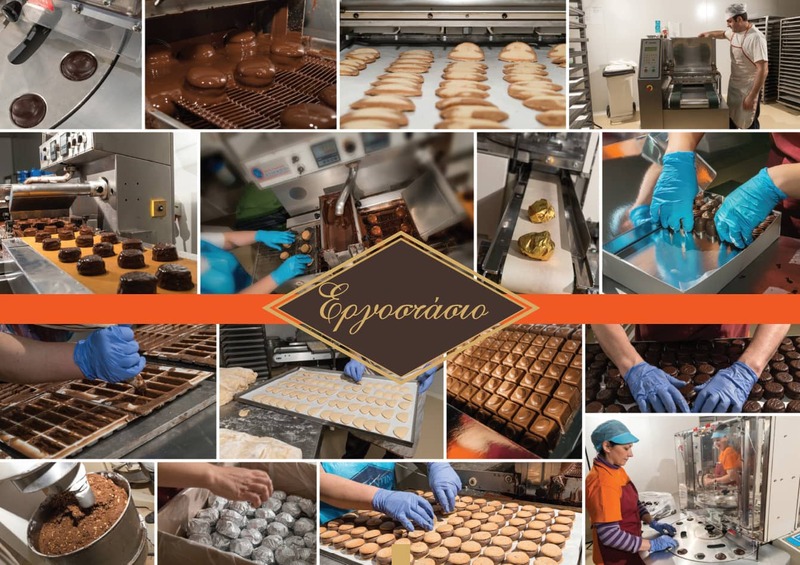 Our long term confectionery with quality has brought a sterling reputation to the clients of the confectionery factory «KONSTANTINOS», who surround it with trust, leading it to become one of the biggest chocolate factories in Grrece. The company records the biggest market share in Northen Greece, but also has important sales in the whole country and a small part of exports. The biggest part of the sales is noted in small confectionery factories, bakery shops, bakery stations, caves and coffee shops. Our company’s aim is to continue having this relationship of mutual trust with her clients and to extend in the part of exports. The experience, the quality, the respect and the competitive prices are the main factor that will lead us to it.